Reflective mirrors have been created by different cultures at various times throughout history, but nature should perhaps be credited as the true inventor of the looking glass as the very first mirrors were probably pools of dark, still water, or water collected in primitive jars. People in Anatolia – modern-day Turkey – manufactured the first man-made mirrors out of ground and polished obsidian (volcanic glass) around 8000 years ago. Much later, mirrors made of polished copper were used in Mesopotamia (now Iraq) and Egypt from 4000 to 3000 BC. Around 2000 BC people in Central and South America began making them out of polished stone, while Chinese and Indian craftsmen beat them out of bronze. Silvered-glass mirrors which are now found through-out the world today saw their first incarnation in Germany. In 1835 the German chemist Justus von Liebig developed a process for applying a thin layer of metallic silver to one side of a pane of clear glass. The process was eventually adapted for mass production which led to the greater availability of affordable mirrors to the wider market. 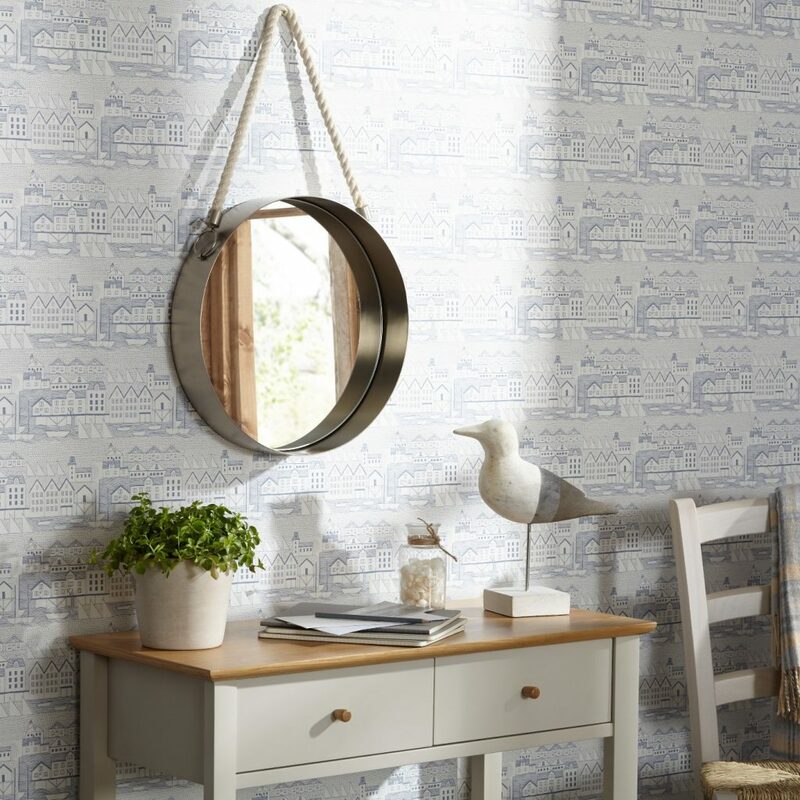 If preparing your home for sale the hall way is an ideal place to hang a mirror as it will give potential buyers an image of themselves as they walk through the door, and so enable them to imagine living in the house. If your hall way is a little gloomy it will bounce the natural light back into the space. For a coastal theme how about John Lewis’s www.johnlewis.com Porthole Mirror, 38 x 38cm, £65.00, 74037202? 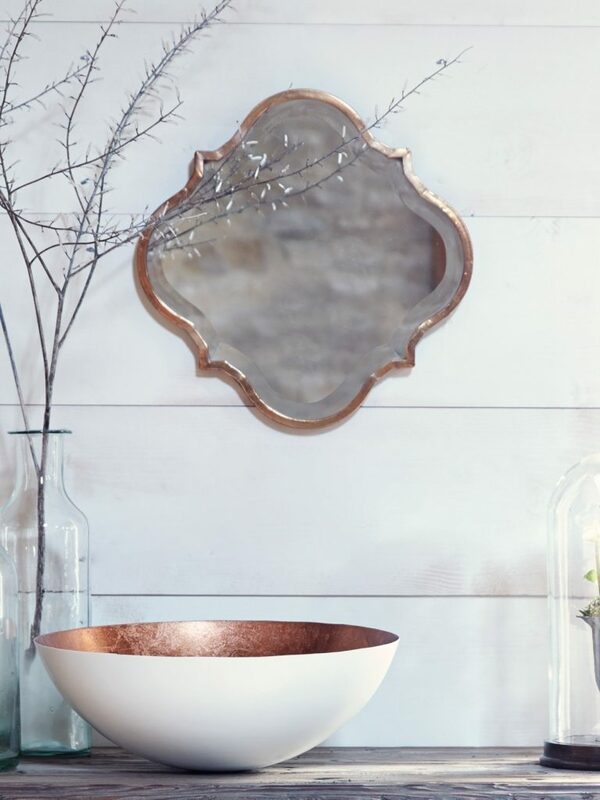 This stylish circular mirror is made with high quality glass and a sturdy silver case with an inbuilt keyhole fitting on the back with which to hang it by. Whilst the smart cream rope is for display purposes only the whole ensemble would had an elegant nautical air to any space in your home. Alternatively, Cox & Cox’s www.coxandcox.co.uk Kasbah Mirror, 38 x 38 x 2.5cm, £65.00. H-Kasmirr offers a more ornate finish. Made from lightweight metal in a warm bronze finish it is redolent of the ancient middle-eastern creations and would add a delicate feminine touch a bedroom. Why not hang three together for more artful display? For, to quote George Bernard Shaw, “You use a mirror to see your face: you use works of arts to see your soul”.